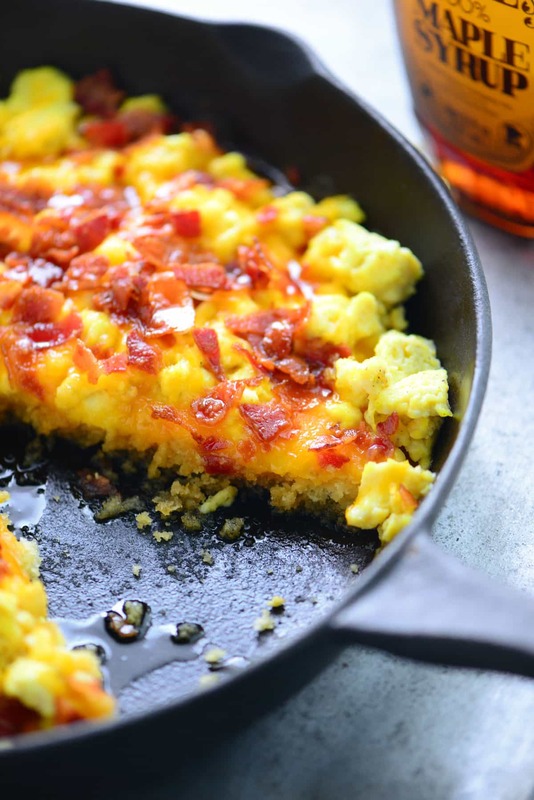 This Pancake Breakfast Pizza recipe with a pancake crust, scrambled eggs, cheese and bacon drizzled with maple syrup is an easy breakfast or brunch idea! Fast food breakfasts remind me of traveling. When you are on a cross-country road trip, the fastest way to get breakfast is to pick up fast food and be on your way. McDonald’s sells a McGriddle breakfast sandwich that a few people in my life are HUGE fans of. The bread part of the sandwich is actually a pancake with maple syrup and sandwiched between are eggs, cheese, and bacon or sausage. I thought it would be fun to make a breakfast pizza using pancake as the pizza crust. I’ve already shared breakfast pizzas made with a hash brown crust and with a tater tot crust, so why not pancakes? 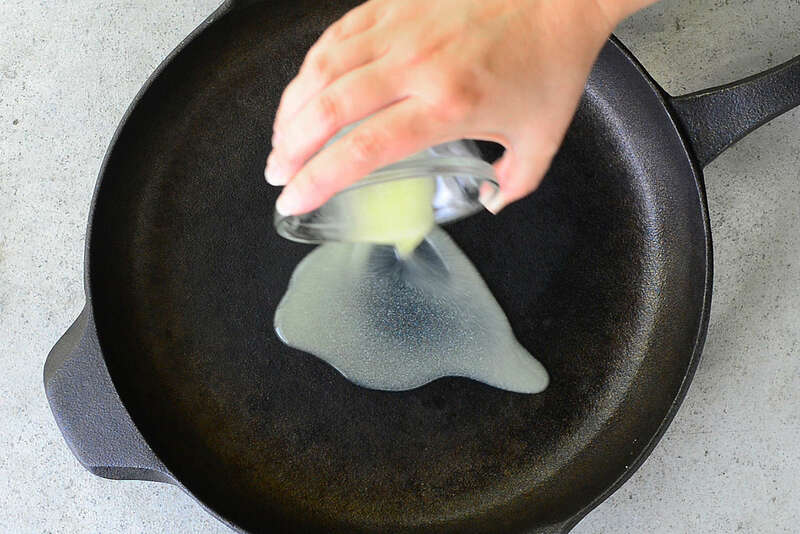 Whisk together pancake mix and water until the large lumps disappear. Do not over mix. I used this complete pancake mix that only requires the addition of water. Feel free to use your favorite pancake mix and add whatever ingredients are called for on the package. Or try using my buttermilk pancake recipe, if you want to go homemade. 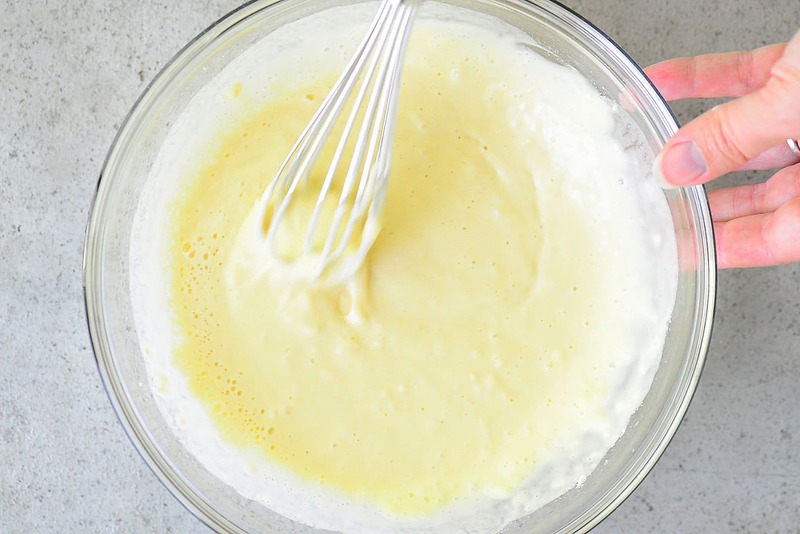 Pour 2 tablespoons of melted butter into a large cast-iron skillet or baking pan and spread to coat. 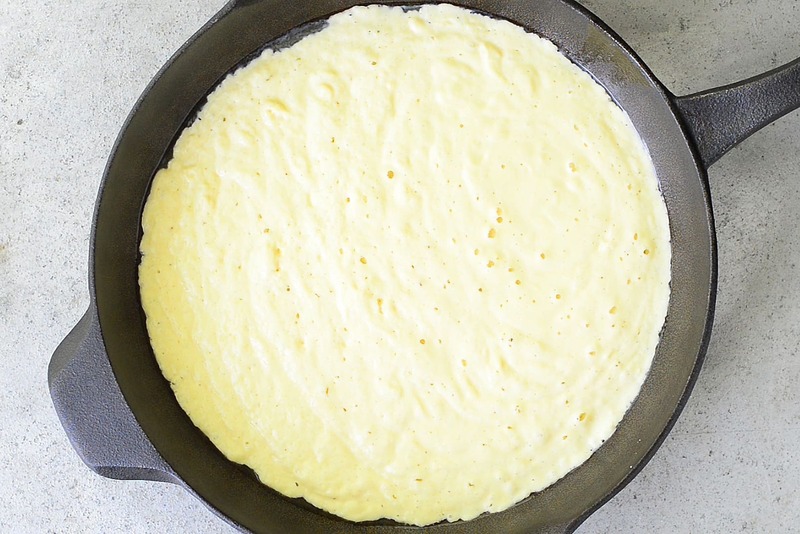 Pour pancake batter into the skillet and spread it out. Bake at 425° for 6 to 9 minutes. 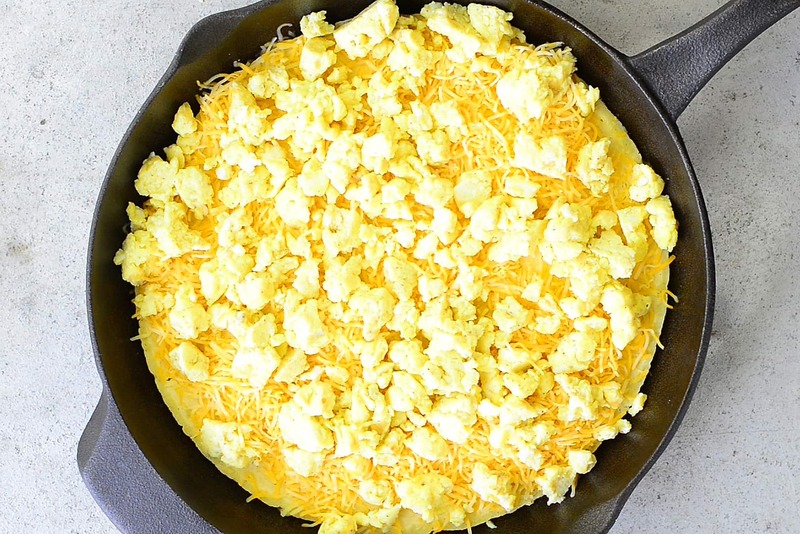 Remove the pancake from the oven and top with one cup of the shredded cheese. Adding a layer of shredded cheese underneath the other ingredients helps the toppings stick to the pancake crust. Next, add the scrambled eggs. 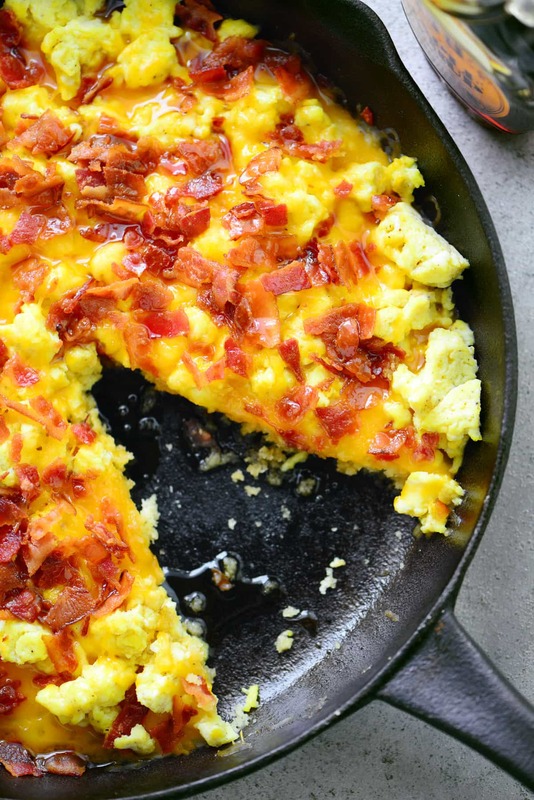 There are six large scrambled eggs on this pancake breakfast pizza but feel free to make it as eggy as you want! 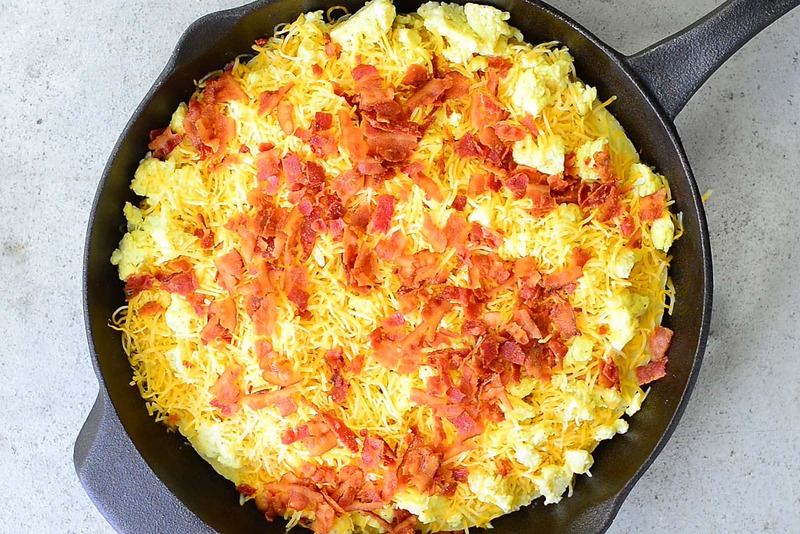 Top with the remaining shredded cheese and the crumbled bacon. Return to the pan to the oven and bake for an additional 3 to 4 minutes to melt the cheese and heat the toppings. 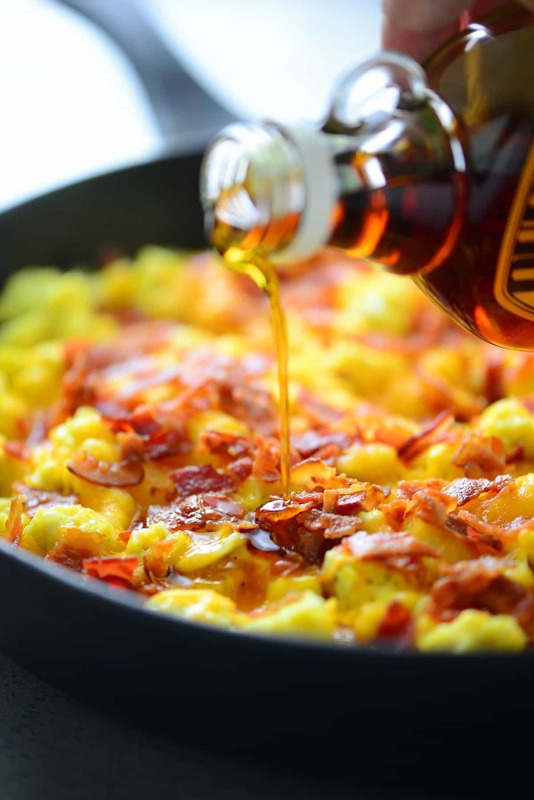 Served with maple syrup drizzled on top. 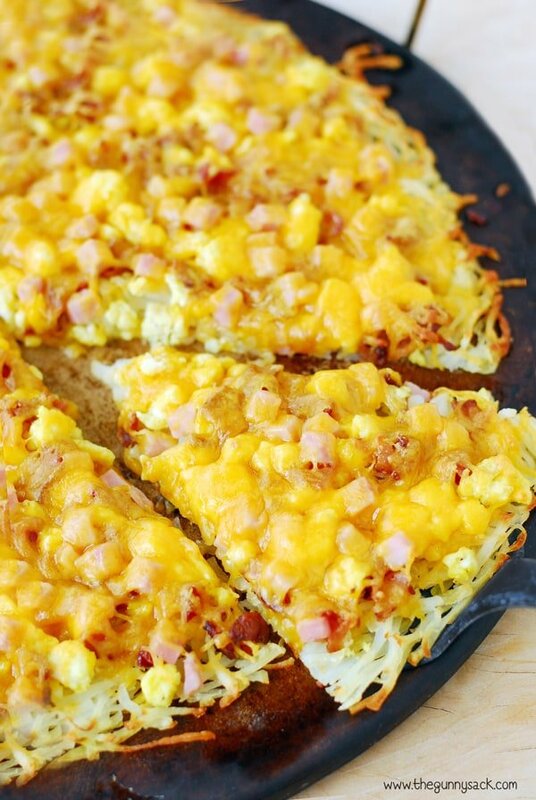 Surprise your family this weekend with a Pancake Breakfast Pizza! It’s like all of the brunch options in one delicious slice. Remove the pancake from the oven and top with one cup of the shredded cheese. 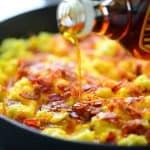 Next, add the scrambled eggs, the remaining shredded cheese, and the crumbled bacon. 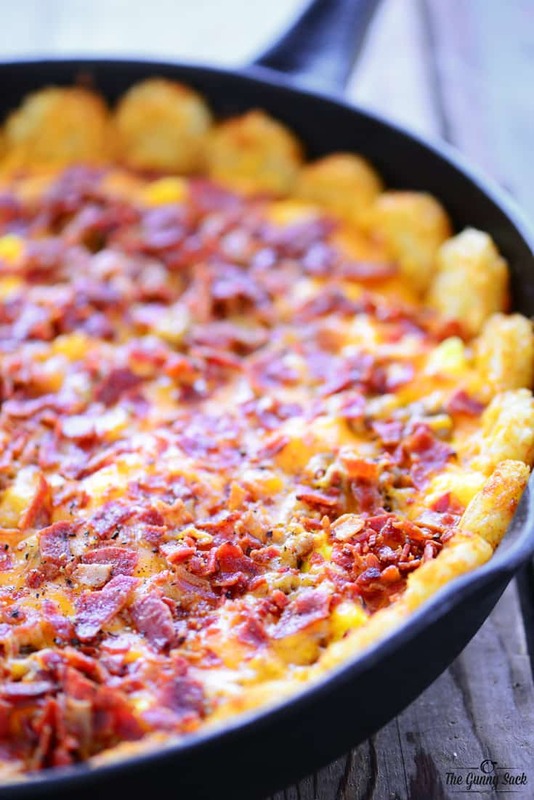 Return to the pan to the oven and bake for an additional 3 to 4 minutes to melt the cheese and warm the toppings. how about a little millk gravy on top also?